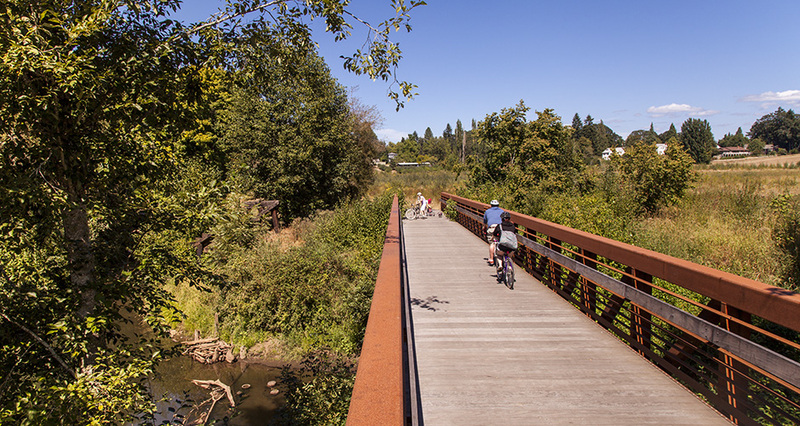 This 3/4-mile trail is a critical link in Forest Grove’s citywide trail system, providing a connection between downtown and the regional multi-use trail that skirts the city, which will eventually join the Portland metro area to Haag Lake and beyond. 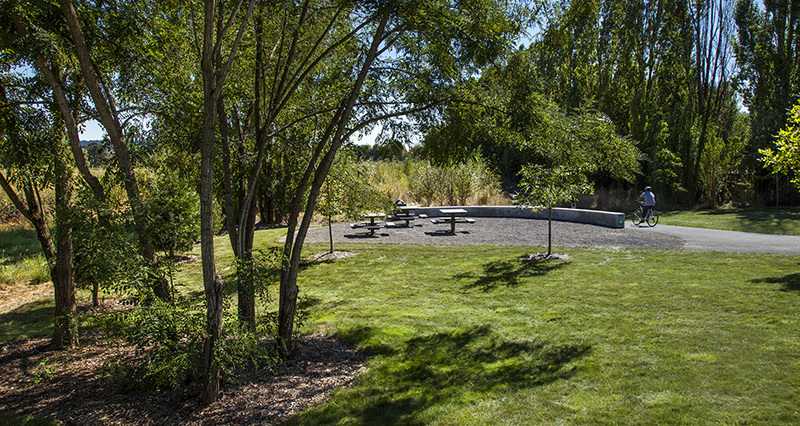 Mackenzie’s landscape architecture group served as the prime consultant in the planning, design, documentation, and construction observation of the project, with in-house civil and structural engineering and planning assisting in the effort. Pacific Habitat Services provided natural resource consulting, including wetland delineation, joint permit application to Oregon Department of State Lands and the Army Corps of Engineers, Clean Water Services buffer mitigation, and insight into the crossing of Gales Creek. 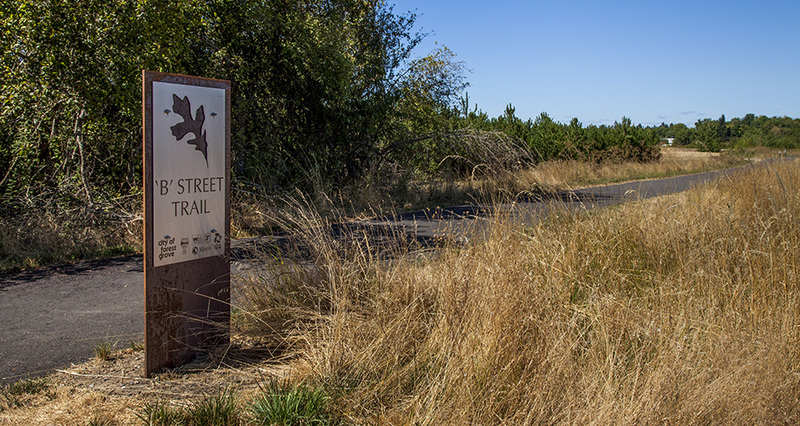 A 25-car trailhead—complete with interpretive and directional signage, picnic seating, and native plantings—enables the site to serve as a prime destination within the City’s trail resources. 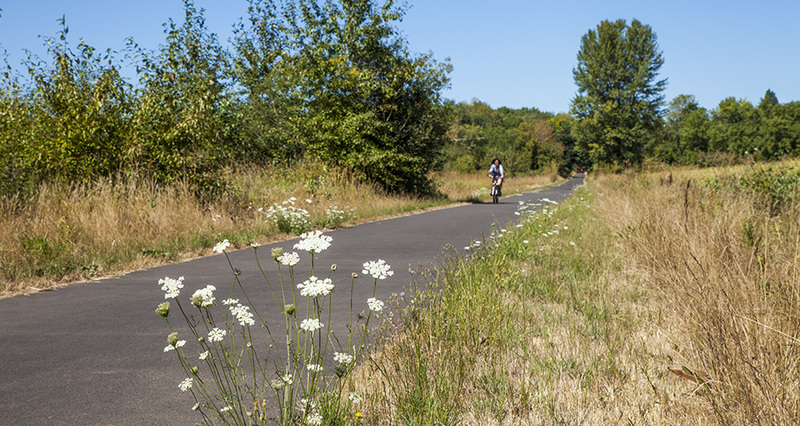 The 10-foot-wide, asphalt trail occupies city, county, and Metro land, presenting a complex permitting effort. The bridge at Gales Creek avoids alterations within the creek bed, thus eliminating further permitting requirements that otherwise would have been triggered.